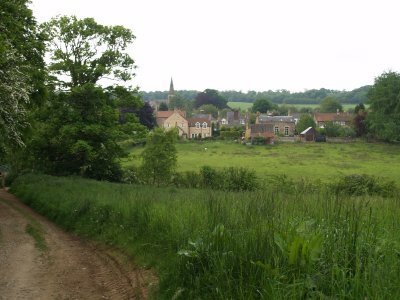 Welburn is a very quiet sleepy village but has a fine Victorian Parish Church built of lovely honey-coloured limestone. 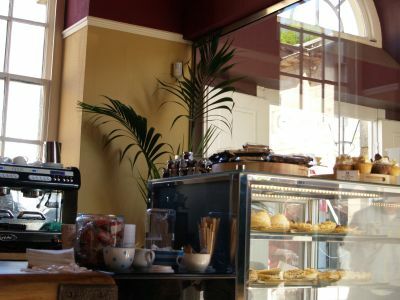 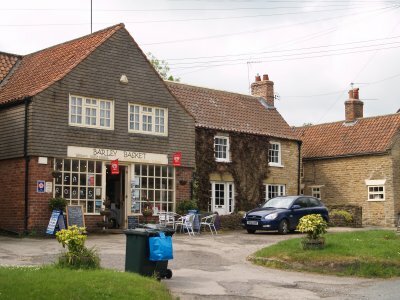 The Barley Basket is a friendly cafe and good starting point for a walk northwards walking through the Castle Howard estate and the Crown and Cushion pub serves the village and walkers too. 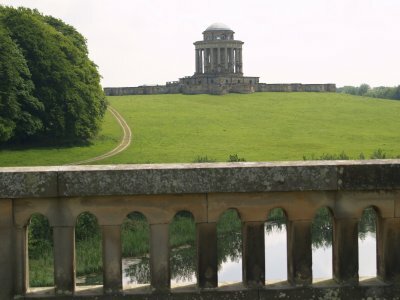 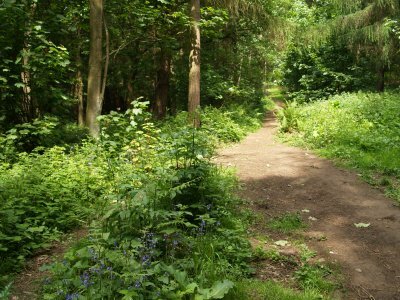 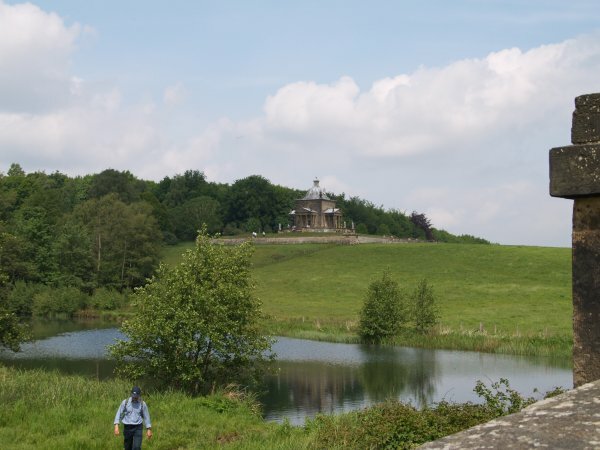 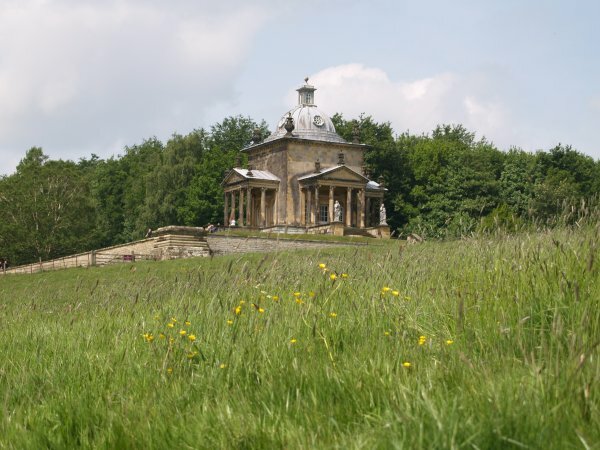 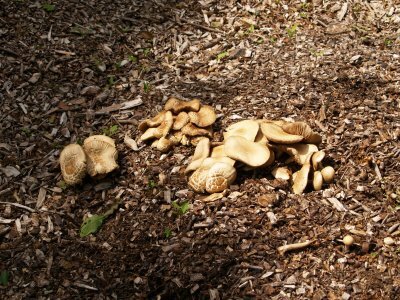 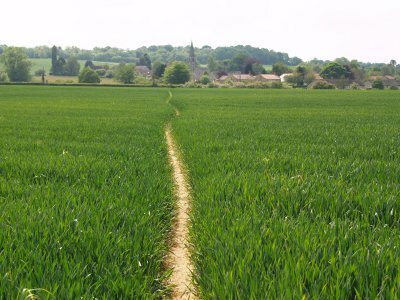 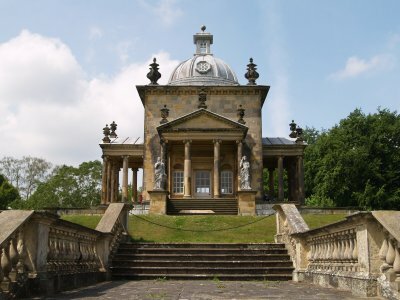 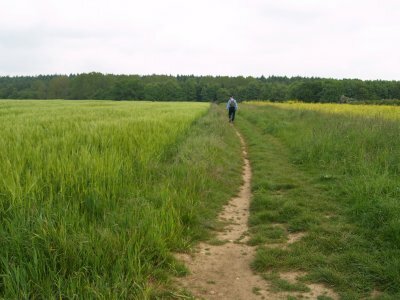 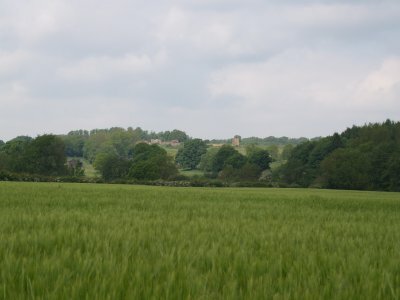 From Welburn Village you can walk almost due north into the Castle Howard Estate and continue on permissive paths. 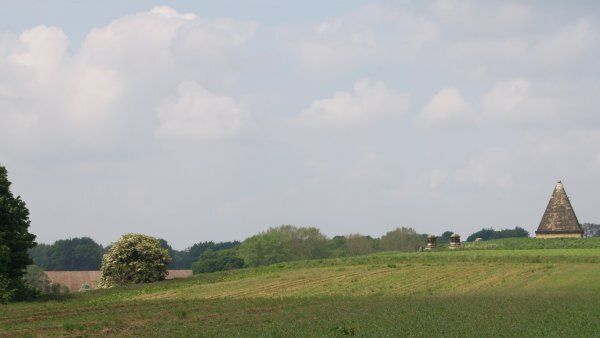 The Pyramid (right in picture) is on your left just before you cross over the footpath of the Centenary Way. 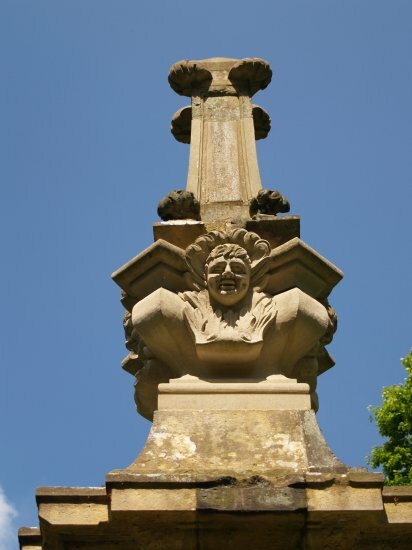 Further on the Mausoleum is on your right before you cross over the New River Bridge. 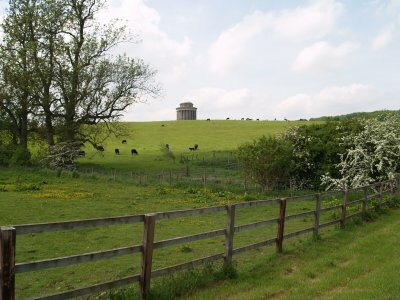 The Temple of the Four Winds from the New River Bridge. 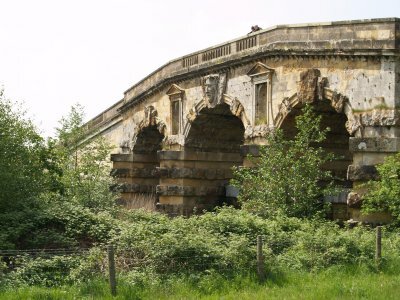 The Cascade at the southern end of the South Lake and the lake north of the New River Bridge. 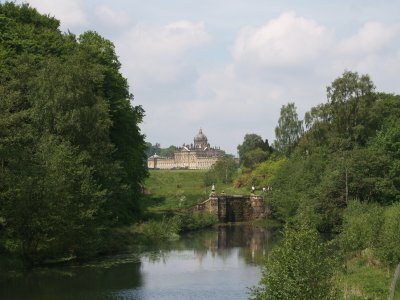 Castle Howard House in the distance. 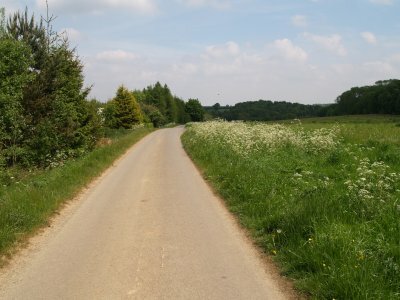 Looking back down to the New River Bridge. 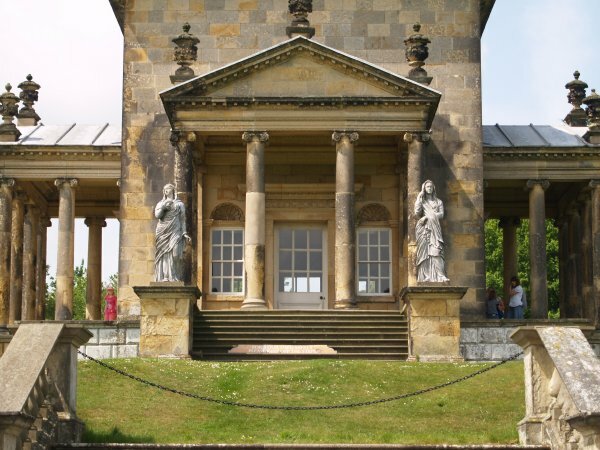 The front facade of the Temple of the Four Winds. 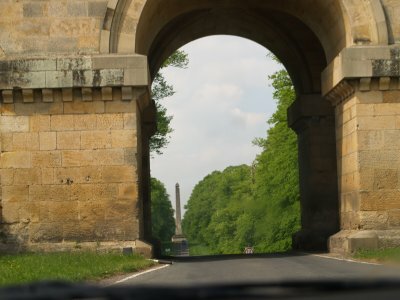 Heading north-west along by the estate wall of the grounds of Castle Howard. 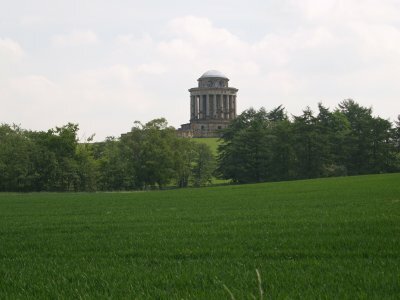 ... and even a distant glimpse of the Temple of the Four Winds as you go west on the Centenary Way. 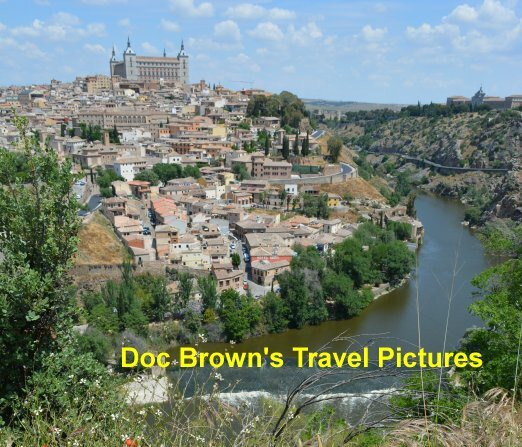 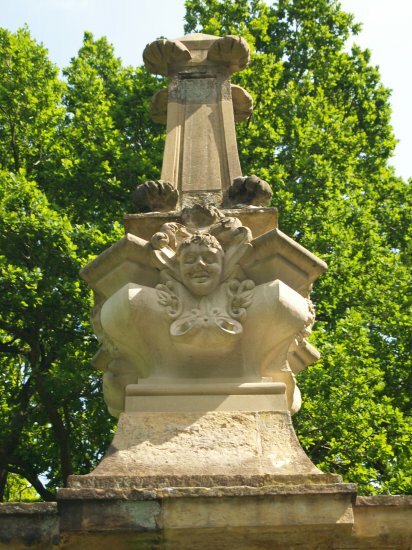 You then go south a little and then head south-east for the 'Four Faces' - shown below. 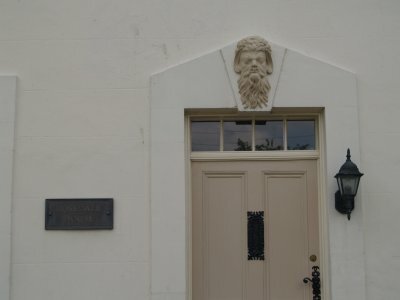 The carved stone sculptures are shown below. 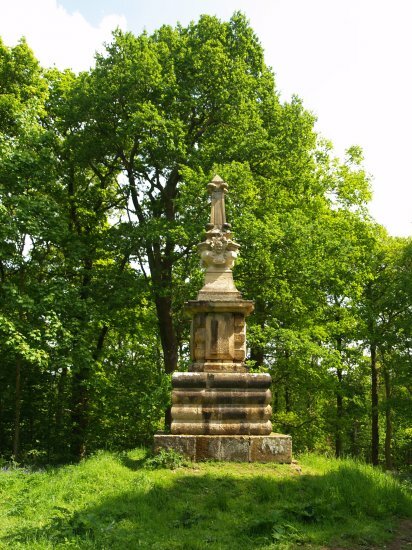 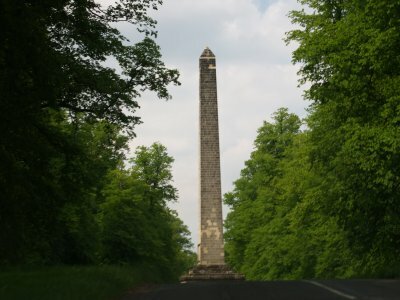 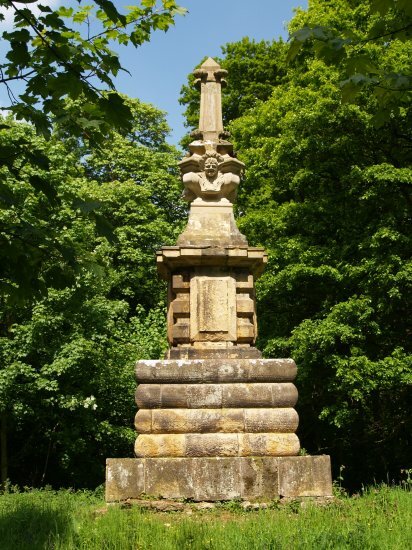 Another interesting 'monument' in the Castle Howard Estate called the Four Faces, before making the way back through Todd Wood and back across the fields back to Welburn Village. 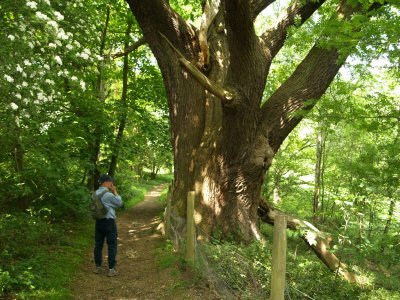 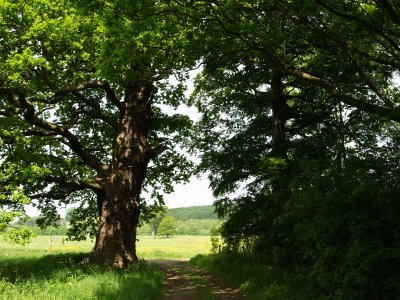 Some nice old oak trees in the woods near Welburn. 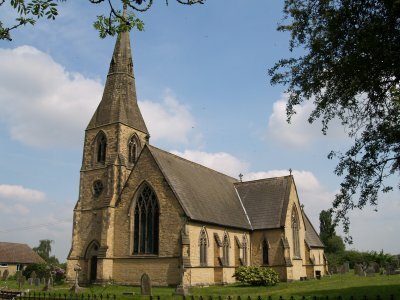 Welburn Church of St John - a fine building built in the style of ~1300 from 1859-1865 by Mallinson & Healey. 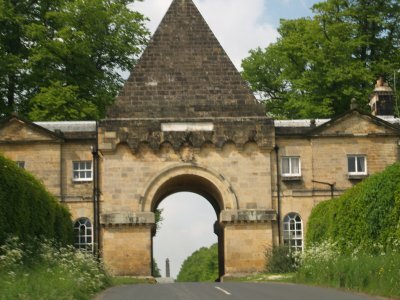 The odd bits of architecture you see on driving through the estate of Castle Howard heading north on the B road for Slingsby. 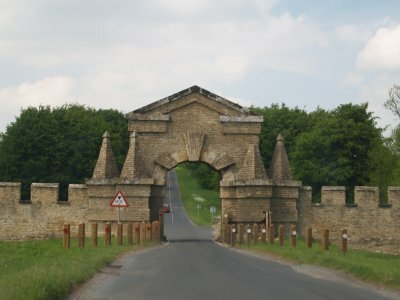 Archways and the Obelisk. 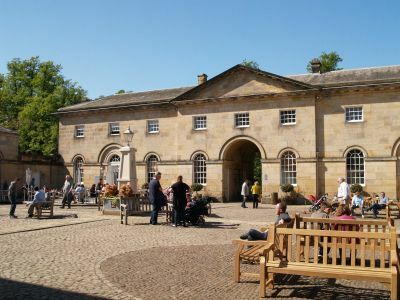 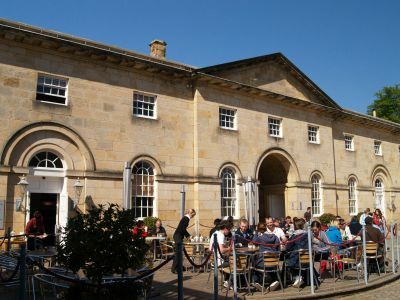 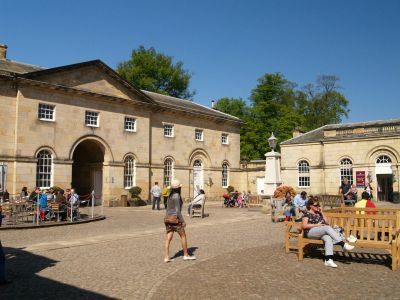 The 'Courtyard' Cafe and shops at Castle Howard - in very refine architectural surroundings! 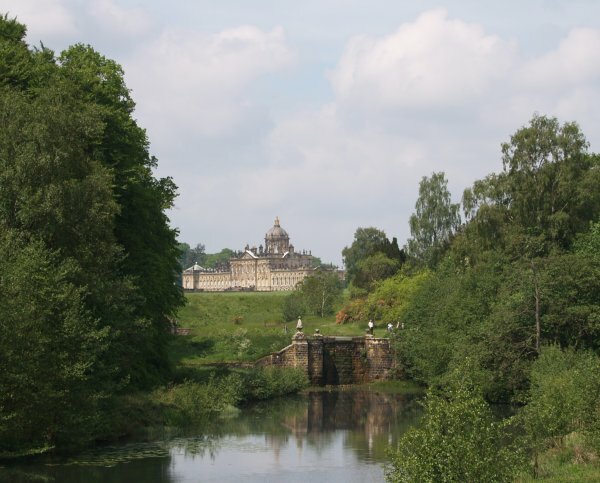 Castle Howard & Estate Howardian Hills Country, North Yorkshire, Northern England: There is lots of good walking and picnic spots on the public footpaths and allowed walks on and near the Castle Howard estate set in the gently rolling Howardian Hills. 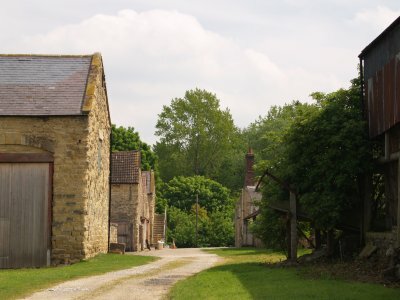 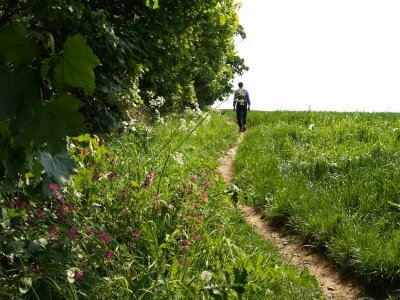 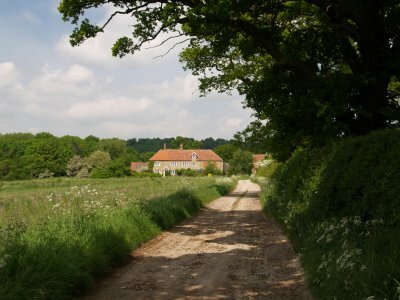 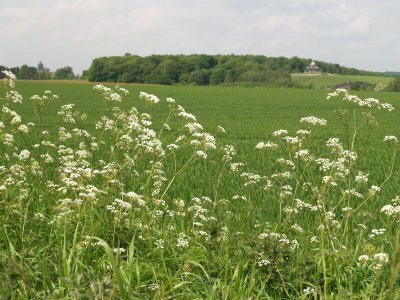 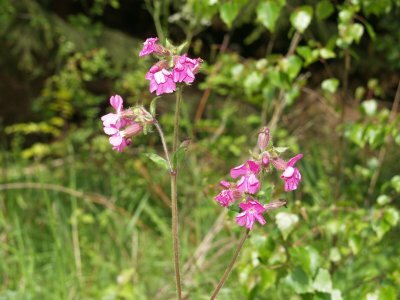 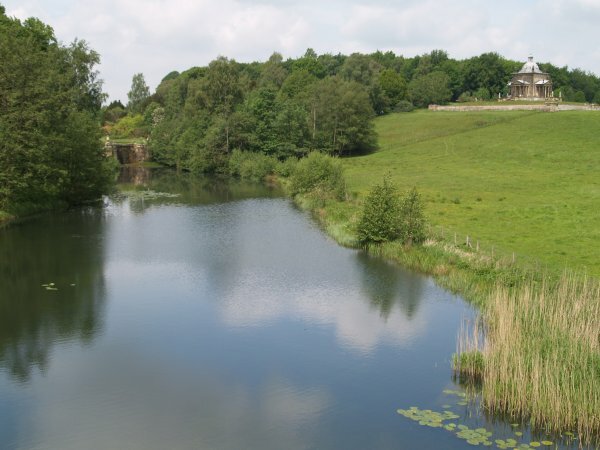 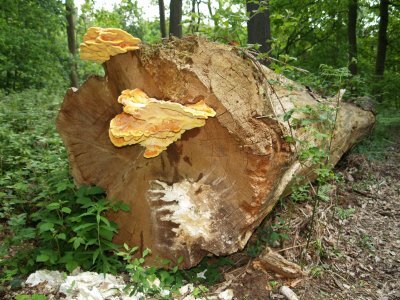 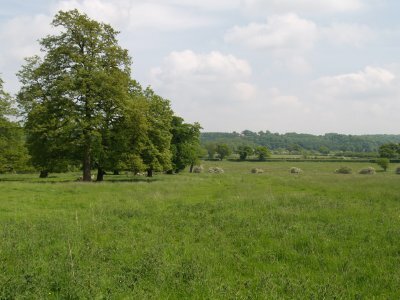 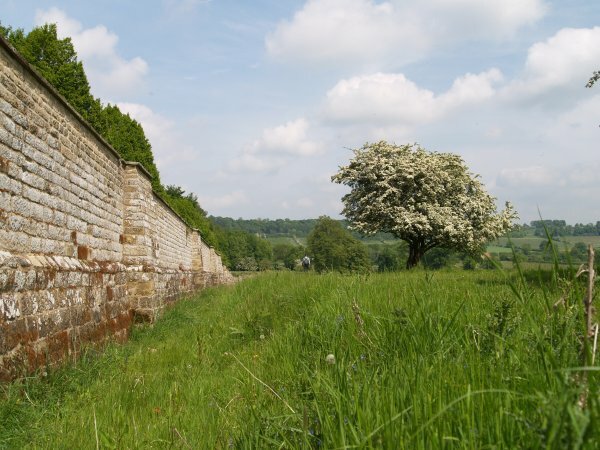 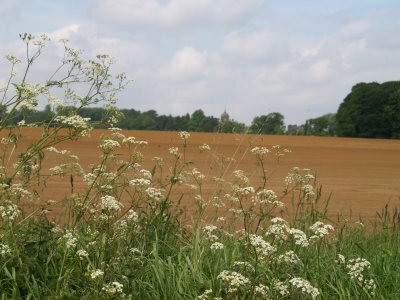 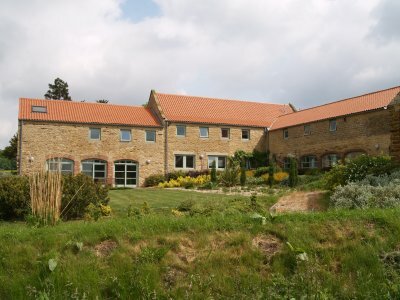 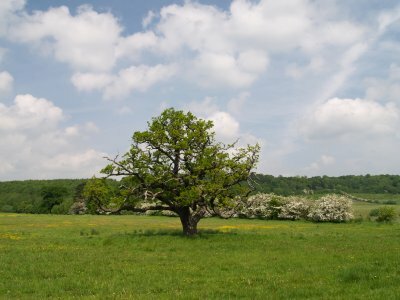 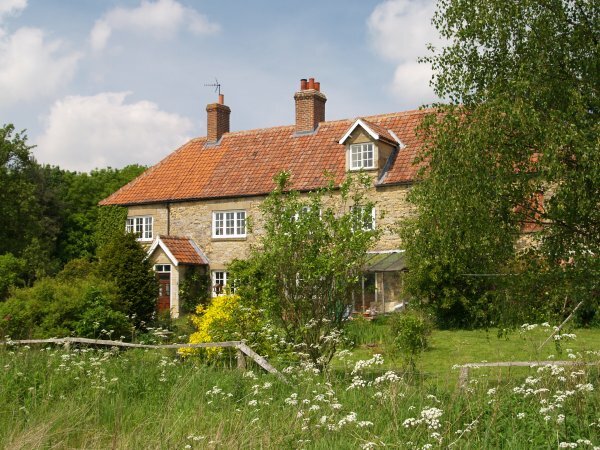 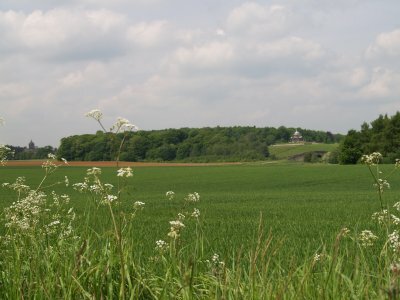 The beautiful estate has open fields, woodland and lanes with hedgerows of wild flowers. 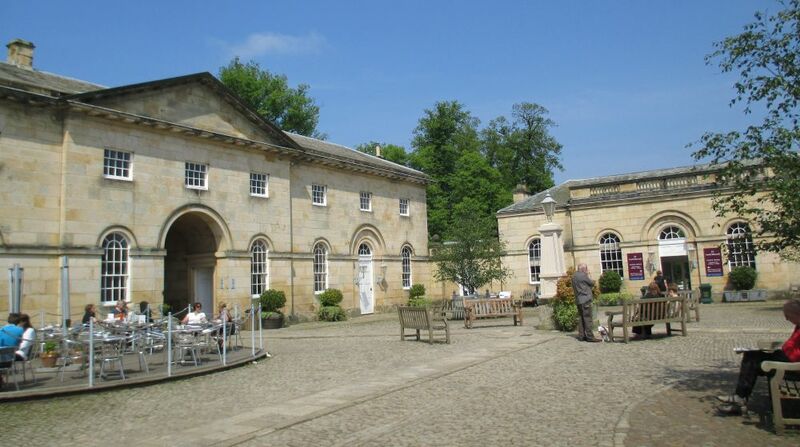 The Courtyard Cafe at Castle Howard is a most pleasant place to sit and have tea, coffee and delicious cakes etc. 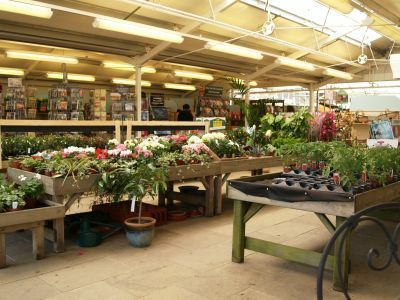 on a summer day and there are also shops selling local produce e.g. 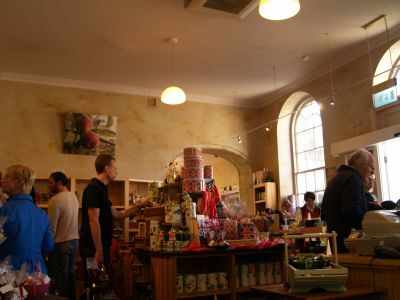 meats from the butcher, baker, confectionary, craft gifts and more besides! 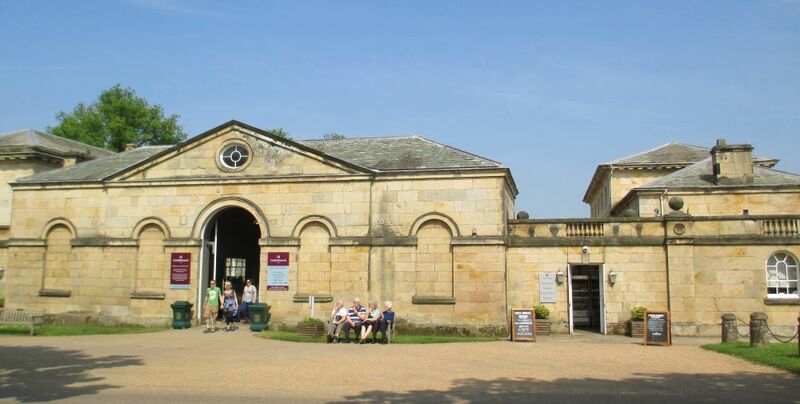 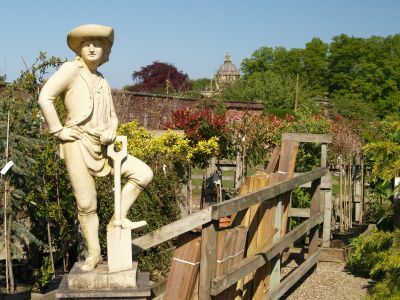 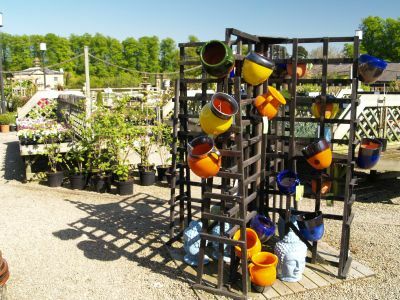 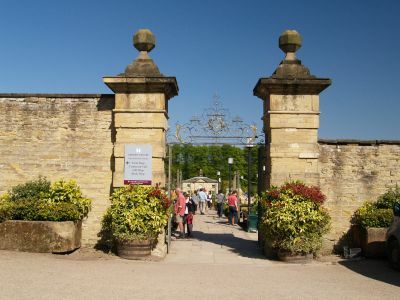 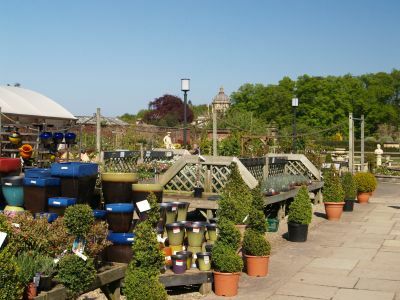 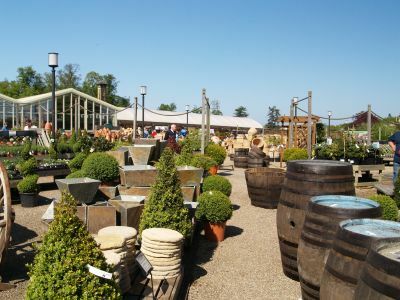 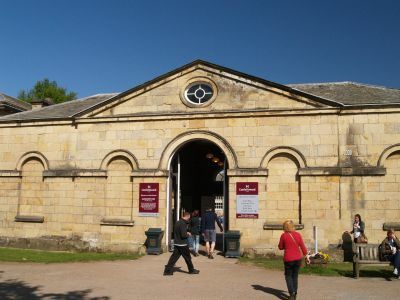 The Castle Howard Garden Centre sells a wide range of plants, pots and statues etc.! 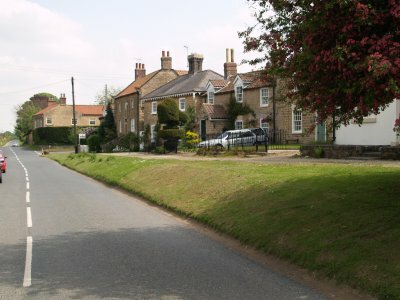 Welburn Village near Castle Howard, North Yorkshire, England: The village of Welburn is a few miles south of Castle Howard. 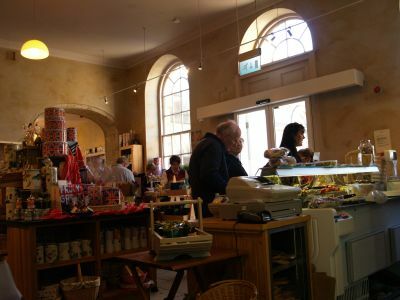 The Barley Basket is a friendly cafe and good starting point for a walk northwards on a circular walk through the Castle Howard estate. 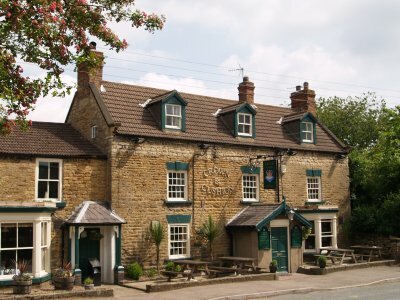 The Crown and Cushion pub serves the village and walkers too. Welburn is a very quiet sleepy village but has a fine Victorian Parish Church built of lovely honey-coloured limestone. 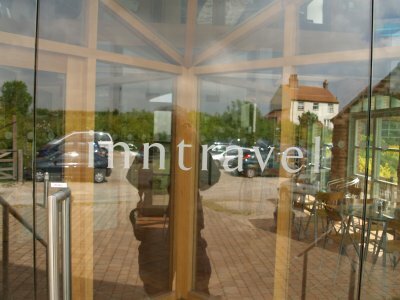 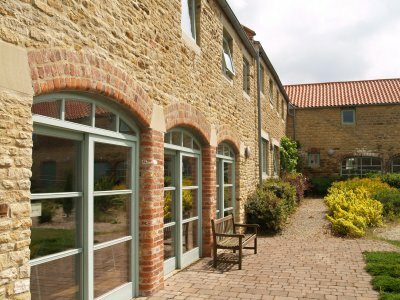 Inntravel, Whitewell Grange, near Castle Howard in North Yorkshire, England runs a good cafe with its Travel shop for those who like booking more adventurous holidays but there is much pleasant walking in the Howardian Hills including the Castle Howard Estate, whose walk is described above.